✅ Trip Verified | Whilst Terminal 3 might be okay, Singapore Changi Airport should be ashamed of Terminal 1. I arrived through there recently - dirty, depressing and a long way short of newer airports in Asia / Middle East. 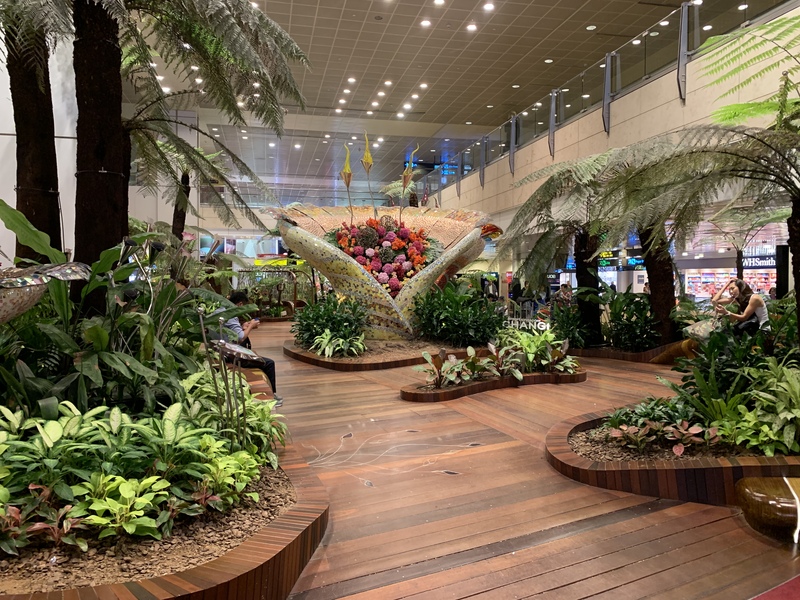 Of course many travellers never see the older, more slummy sections of Changi, but for those that do, being called a Best airport seems a long way from the truth. "baffled by your adopted queueing concept"
✅ Trip Verified | We arrived just past midnight of Sunday at Terminal One and was initially impressed with the renovation that has been done. However our experience at the taxi queue and whatever its intended design left us hot and flustered and we are embarrassed by its world class claim and visitors get to experience the same farce as us. 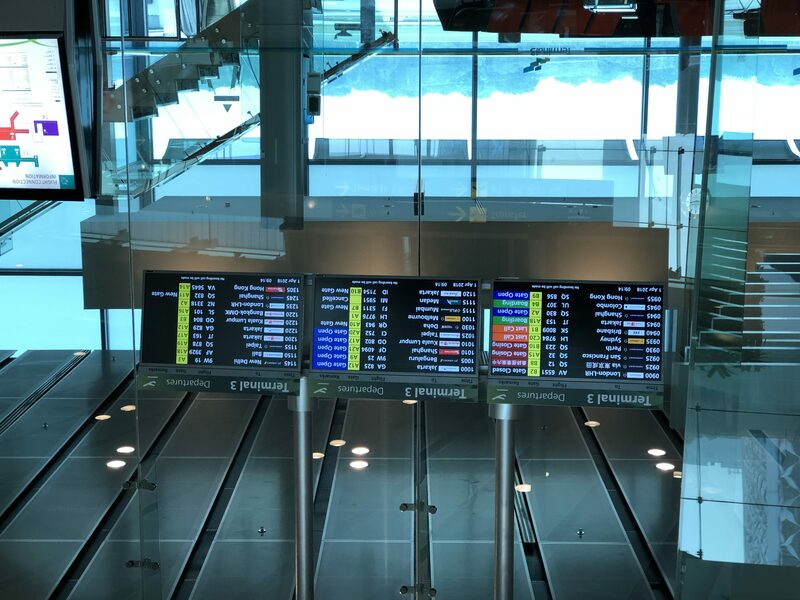 Firstly it is already a terrible idea having visitors to pick which of the 4 queues they hope would be the fastest when all the other terminals have logical queue system in place. Then in order to counter this poor idea and design, you have to have so many staff trying hard (and very unsuccessfully at times) to direct users and explaining to them why (some lines are closing they say) and which queues to go to, adding confusion, irritation and frustration to people just coming down the escalators and those already waiting in line. Having this terrible system in place, where you have created very unequal number of people amongst the 4 queues, we imagine the other logical thing to do hire more staff just to direct taxis waiting outside which queue to approach first? And even that we can see that their decision making didn't reflect on the situation at hand. We were directed to the longest queue and yet the taxis coming our way were the least! After about 45 mins of waiting, my partner and I decided to split so that she could join another queue which seems shorter and before long she was already near the end of her line while I still had loads of people in front of me. Naturally I left my line and joined her and we finally got our cab. This was more than an hour of waiting for a taxi at Singapore Changi Airport! We are really baffled by your adopted queueing concept which is an old system that has been and still is a failure anywhere in the world and wondered whose bright idea it was to bring it to Terminal One when the queue system in all the other 3 terminals worked logical and efficiently. What a waste of manpower and resources. Please do something about it. "needed to wait for 40 minutes plus"
Not Verified | Booked a shuttle bus from airport to city and needed to wait for 40 minutes plus. This connection facility between airport and city could not claim to be the world's number one. "Staff are kind and helpful"
Not Verified | The aircon is the perfect temperature as usual. Shopping and Dining choices are so hard to make because there's a wide variety. Travelling to and from the Airport is awesome. The floor is super clean, as well as the toilets. Staff are kind and helpful. 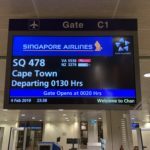 Not Verified | Poor directions and unavailability of lounge facility in Terminal 1. Had to run between terminals and sick of asking people and those at the Information booths are not polite/customer friendly. Needs lot of improvement! Particularly in a competitive world this is really not a good business model. ✅ Trip Verified | Beautiful airport with many amenities. If you transit for more than 4 hours I believe, please take advantage of the benefits they offer. We received S$20 to use to purchase gifts. It is like they want you to spend the money for souvenirs. I love that. Unfortunately, we also arranged for transit for more than five hours, and we planned on getting to the free city tour, but they were all booked. Please readers, do not go the extra miles to get in this tour since most likely you will just waste your time, and not able to get in. I suggest they try to accomodate more people. The different gardens are cool. 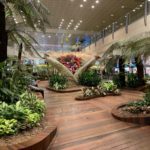 "it is truly more than just an airport"
✅ Trip Verified | Being a Singaporean, I use this airport many times, and every time it comes as no surprise that Changi AIrport can clinch the Best Airport of the year, 6 years in a row. 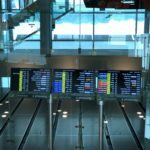 The airport was very clean, the staff there was very helpful, and check in was very efficient and within 20 mins of entering the airport I was in the departure area. One of the highlights that makes Changi Airport is their relentless effort to improve - everywhere I see tablets asking tourists to leave a review of how they have done, and the signs were big and placed in very strategic areas, and I had no problems following them to my destination. On arrival, it was the same - half an hour after I stepped off my flight I was in the public area - no airport I have been to can match this efficiency, or even come close to doing so. The Wifi was very readily available and fast - no problems. Overall, I would recommend anyone passing through this airport to come earlier and spend more time roaming around inside - it is truly more than just an airport, and definitely deserves that award. Changi Airport always functions as a first class airport. There were a good allocation of staff so that you don't have to queue for immigration or security screening. Looking forward to flying from Changi again. "a very long immigration queue"
✅ Trip Verified | I arrived at about 1:30pm from Bali at Terminal 2, it was very rare that they had a very long immigration queue. Only Singaporean citizens and residents are permitted to use the electronic gates, rest of us had to queue up to have our passports stamped and finger prints recorded. 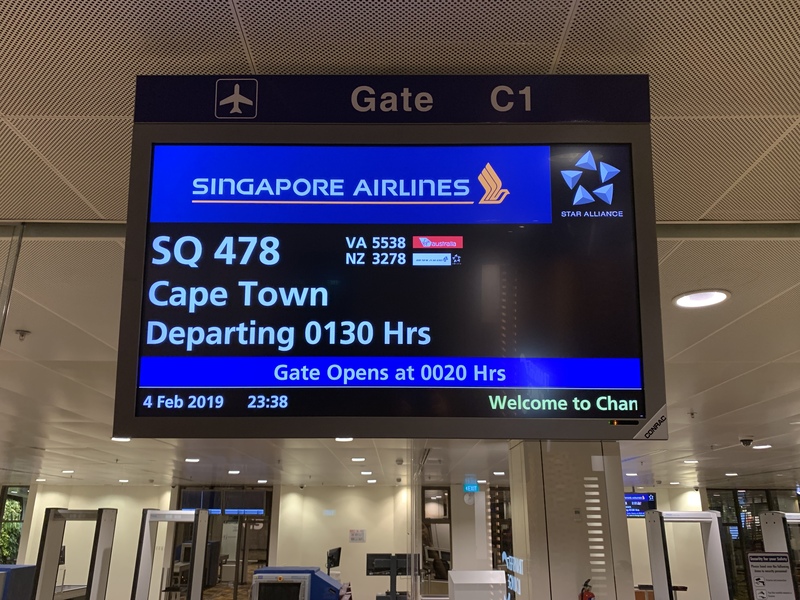 For some unknown reasons, it was so slow today on Feb 15th, it took me nearly an hour to go through the process, I'd thought I was in Vietnam or Bali, some third world airport! In future it makes me dread the thought of arriving in Singapore. I really didn't know what had happened, and why Singapore cannot offer electronic channels to passports from selected countries, unlike Bangkok which already did. ✅ Trip Verified | A perfect airport with amazing facilities and an amazing choice of Foods & Beverages. The staff here have since improved their attitude since my last trip but with a bit more smile, I'm sure I will give my 5th star. This airport is truly the world's best!